Tommy Joe Alligood records, Tommy Joe Alligood, e-mail address - Rentz, GA, to Lew Griffin, 1998, 2007. Lemuel Culpepper, Son, M, 1896, 4, S, GA/GA/GA. courtesy of Gary Culpepper, Lakeland, FL. Lemuel Culpepper, Son, M, 14, Sng, GA/GA/GA. H. L. Culpepper and Myrtle Alligood on 29 Jun 1913 in Laurens Co., GA, Bk N-447. Willis A. Culpepper, Cert 103072, Polk Co., FL, White, 06 Oct 1915 - 13 Nov 1983. Mrs. Jane Culpepper, d. 11 Jan 1936 in Laurens Co., GA.
E-mail written Dec 2007 to Warren Culpepper from Gary Don Culpepper (#57805), e-mail address. John C Culpepper, White, Married, born 1918 in Georgia, residing in Laurens Co., Georgia, enlisted as a Private in the US Army on 24 Mar 1944 in Camp Blanding, Florida. MONTEZUMA -- Graveside services for Avotora C. Culpepper, 80, of 522 N. Dooly St., were scheduled for 2 p. m. today at Bertha Dozier Memorial Park Cemetery with the Rev. Randy Gregg officiating. A native of Laurens County, Mr. Culpepper lived in Macon County for the past 41 years. He was a retired Independent Life Insurance Co. employee and a former magistrate court judge. Mr. Culpepper was a member of Life Underwriters Association and the First Baptist Church. He died Sunday at an Americus hospital. 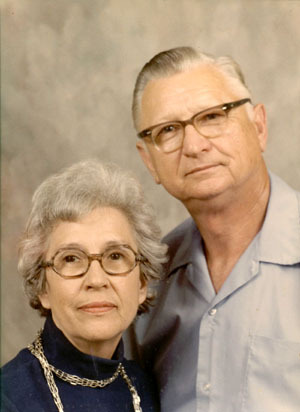 Survivors include his wife, Woodrow Burch Culpepper of Montezuma; two sons, Jams A. Culpepper and Michael L. Culpepper, both of Montezuma; a sister, Eutha Coleman of Cadwell; and two grandchildren. Avotra C. Culpepper, “Pa Pa”, 4 Oct 1908 – 23 Apr 1989. Avotra Culpepper, Son, M, 1, Sng, GA/GA/GA. M. S. Gay, Uncle-in-law, M, 42, ?, GA/GA/GA, Helper on farm. Avotra Culpepper, Boarder, M, 21, S, GA/GA/GA, Grocery Clerk. A. C. Culpepper (M) and Woodrow Burch (F) on 30 Sep 1933 in Laurens Co., GA, Book S-504. Mamie L. Culpepper, d. 15 Mar 1947 at 56 years in Laurens Co., GA; Res. in Laurens Co., GA.
+ Mammie L. Culpepper, 4 Sep 1891 - 15 Mar 1947. J. G. Culpepper, d. 23 Dec 1948 at 64 years in Laurens Co., GA; Res. in Laurens Co., GA.
Avotora C. Culpepper, d. 23 Apr 1989 at 80 years in Sumter Co., GA; Res. in Macon Co., GA, 015483. Hilton Culpepper, Son, M, 6, S, GA/GA/GA. + Phillip A. Culpepper, 20 May 1940 - 21 May 1940. Curtis L. Culpepper, 21 Jun 1913 - 30 Mar 1980 (PFC, US Army WW 2). Curtis L Culpepper, White, Married, born 1913 in Georgia, residing in Laurens Co., Georgia, enlisted as a Private in the US Army on 30 Jun 1945 in Fort McPherson, Georgia. Curtis L. Culpepper, d. 30 Mar 1980 at 66 years in Laurens Co., GA; Res. in Laurens Co., GA.
Obituary for Brenda Culpepper Woodard (#39237), published 30 Mar 2012. DEXTER - He had seen the old photographs, heard the old stories. Then, after more than 50 years, Hilton Culpepper Jr. went to face the father he never knew. There, across the same thousands of miles of ocean his father crossed a half-century before, he stood, surrounded by 10,000 white crosses. He found the one that bore the name "Hilton Culpepper." Hilton Culpepper Sr. died March 16, 1945, on a battlefield in France near the German border, two months before his son was born. Three years ago, Hilton Culpepper Jr., 55, finally made the trip he had put off for years. He traveled to Lorraine Cemetery where his father and 10,488 other U.S. soldiers are buried. "To see your name on a tombstone, to see him out there with all those thousands, you think, 'They're all kids,'" Culpepper remembered. "There are no old people in that cemetery. You think, 'Man, what a waste.'" Culpepper's father was a 21-year-old private in the 142nd Battalion of the 36th Infantry Division. He had been in France for about a month when he and other soldiers from his battalion were given their last orders - to cross the Moder River into Germany. "For a kid from Caldwell, Ga., a farm boy who had probably never been any farther than the beach in Florida, to wind up dead and buried in France, I'm sure he could never have imagined anything like that," Culpepper said. His father went most of the war undrafted, but the letter finally came late in 1944. "He was the baby of the family," Culpepper said, "so I guess the draft board sort of left him alone until then." Hilton Culpepper Sr. left for the Army the day after Christmas, with his wife about four-months pregnant. He never came back. "My mother told me the last time she saw him was when she put him on the train in Eastman," Culpepper said. In April, Culpepper, an assistant civil engineer for Air Force Reserve Command at Robins, traveled again to Lorraine Cemetery. This time, he took his daughter Holly, 27, and son Greg, 24. "My children know now that they do indeed have a grandfather," he said. Culpepper, a history and World War II buff, said he has visited Arlington National Cemetery, the cemetery in Hendersonville and several others. None impressed him like Lorraine, he said. The cemetery was deeded to the United States and is kept in "absolutely immaculate" condition, Culpepper said. Officials use computerized records to find specified plots for visiting families, who then are taken to the sites by golf cart. Family members are given an American flag to place on the graves. The crosses in the cemetery are so white that the names on the markers will not normally show up in photographs, Culpepper said. To fix that, cemetery officials have sand shipped in from the beaches at Normandy, where so many American soldiers lost their lives in the D-Day invasion. "They take that golden sand and rub it into the letters, then you can take the pictures and read the letters," said Culpepper. The cemetery serves as a symbol of sacrifice made by the fallen soldiers buried there, he said. "There are pilots out there, plain old dog-faces, colonels and captains. There are three or four women buried out there. It's a cross-section of all America had to offer," he said. "You think, 'They gave everything.' There's not much more you can give than that. "I think sometimes we tend to forget what those people did. Some of them got to come back, and some of them weren't so lucky." A few years after the war, the family had the opportunity to bring his father's body home. Culpepper's mother wanted to, but her second husband, W.C. Barrs, a World War II and D-Day veteran, talked her out of it. "He said he had gone through the war. He sort of understood that was where my father needed to be. He said if it was him, he would have wanted to stay." Both his mother and stepfather are deceased, but Culpepper still thanks them for making the right decision. "I always thought (not bringing the body home) was a mistake," he said. "I thought if he was home, I could visit him whenever I wanted. Once I got over there and saw the cemetery, there was no doubt in my mind that was where he needed to be," he said. E-mail written 2000 to Lew Griffin from Hilton Francis Culpepper Jr. (#39230), e-mail address (Apr 2012). Hilton F Culpepper, White, Married, born 1923 in Georgia, residing in Laurens Co., Georgia, enlisted as a Private in the US Army on 30 Aug 1944 in Fort McPherson, Georgia. 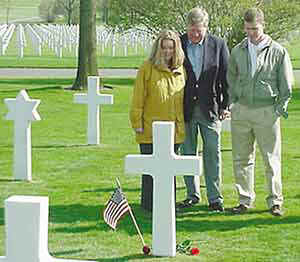 "Hilton Culpepper finds grave in France of veteran father he never met" by Rodney Manley, Sunday, 28 May 2000. + Sally Ora Culpepper, 6 Dec 1891 - 14 May 1940. Phillip Culpepper and Ora Faircloth on 25 Nov 1906 in Laurens Co., GA, Bk N-50. Gerald L. Culpepper, d. 28 Nov 1946 at 36 years in Bibb Co., GA; Res. in Bibb Co., GA.
Carrie N. Culpepper, Dau, F, 3, Sng, GA/GA/GA. James P. Culpepper, Head, M, 35, md, GA/US/US, Occ? Vivian W. Culpepper, Daughter, F, 2 0/12, S, GA/GA/GA. James P. Culpepper, d. 2 Mar 1925 in Laurens Co., GA.
Carrie Naomi Culpepper (Miss) and T. H. Sibley on 14 Jul 1927 in Laurens Co., GA, Book S-158. J. P. W. Sibley, Son, M, 26, Sng, NC/NC/NC, Fruit Farmer. Obituary of William Gerald Culpepper (#61845), published 3 Nov 2010. Obituary of Ginny Lynn Culpepper Holbrook Garner (#61853), published 19 Dec 2009. Vivian Culpepper, born in Dublin, GA in 1917. + Malcom B. Culpepper, 24 Nov 1921 - 24 Dec 1939. Andie Culpepper, Daughter, F, 2, S, GA/GA/GA. Mrs. Mattie Culpepper, d. 15 Jan 1926 in Laurens Co., GA.
Mildred Daugh Culpepper, Cert 10852, Alachua Co., FL, White, 28 Feb 1914 - 09 Feb 1983. William Ebenezer Culpepper, Alachua Co., FL, White, Male, died Apr 1965. "My Great-Grandmother NASON"s half-sister Frances V. PERRY married Thomas Albert CULPEPPER. I thought that you might be interested in some information about Frances's background & have a minor correction to your documentation. Her father, James A. PERRY, did not die in 1883. The reason that Thomas CULPEPPER is named guardian to his wife is because she inherited from her mother's father, Solomon FOREHAND, who died 23 Feb 1873 in Macon Co, GA (he lived in the Traveler's Rest area). Eliza FOREHAND PERRY died 1 Jun (I have three different years for her death date--probably 1869 is the correct one). I think that she & one of their children are buried in Slade Cemetery in Crisp Co.
James A. PERRY was married several times. Frances is the daughter of James A. PERRY & his first wife, the daughter of Solomon FOREHAND & Annie MCCREARY. James A. PERRY died 20 Jun 1893 in what is now Crisp Co, GA. There were two James PERRYs in the area, both of about the same age. My ancestor was usually referred to as James A., rather than just James PERRY. James A. is buried at Ebenezer, right behind the church, not far from the CULPEPPERs, in Crisp Co. (His second wife was my ancestor, & she died young, before 1890.) The surviving wife, Sarah "Sally" --third or fourth one!--apparently got most of the estate, supposedly cheated the children by the first two marriages but don't have evidence for that! Below are the census entries on Frances (in the 1880, my ancestor is Leotis or Lee Otis, as she was later known). "James A. PERRY was born 20 Jul 1827 GA. Eliza FOREHAND was born 11 Mar 1827 GA. Eliza was buried in the Slade Cemetery near Cordele, Crisp Co. I previously believed that the eldest son, Andrew Solomon Zachariah T. PERRY, was the son of Eliza FOREHAND, but I found his death certificate online. His mother is shown as Molly BAUM, which adds yet another marriage for James A. PERRY. Andrew was born 28 Oct 1849, so if the info about his mother is correct, she must have died shortly after his birth, because James A. PERRY was already married to Eliza FOREHAND when the census was taken 21 Sep 1850. Although there were Dooly Co marriages for this period, I have not found a marriage for James A. PERRY until his marriage to my ancestor, Mary Frances BUNDRICK, in 1871, which means that I do not have exact dates for the first two marriages. "J.R. HOLMES O.D.C. Voucher No 1 Recd of J.A. PERRY natural guardian for his children State and county tax for 1875 1458 M. MCDONALD T.C. Guardianship Letters 1873-1893, page 31. Edmund West, compiler, Family Data Collection (Gene Pool) - Individual Records, Online database at Ancestry.com, 2000. Wm. H. Culpepper, Son, M, S, W, 1, GA, Fa: GA, Mo: GA.
William T. Culpepper, d. 29 Dec 1958 at 79 years in Brooks Co., GA; Res. in Brooks Co., GA, 32156. Louella E. Culpepper, d. 30 Jul 1956 at 73 years in Brooks Co., GA; Res. in Brooks Co., GA, 17956. Vera Culpepper, Wife, 27, M, md @ 25, GA, GA, GA.
Jesse J. Culpepper, d. 6 Sep 1962 at 73 years in Brooks Co., GA; Res. in Brooks Co., GA, 24044. Quitman Free Press, Quitman, GA.
Obituary of Jesse Joe Culpepper (#5669), published 13 Sep 1962 and provided to Culpepper Connections by John W. McLeod. Sam Clemons Culpepper (of Morven, Brooks Co., GA; born 8 Feb 1892, previous wife died; s/o Tom and Alice [dec’d] Culpepper) and Carrie Lou Thompson (of Barney, GA, born 7 Apr 1910, d/o John and Florence Thompson) on 3 Oct 1931 in Colquitt Co., GA, Book K-11. Obituary of Jack Thornton Culpepper, published 17 Jul 2006.